It has been a week since Vinnie Paul’s sudden passing, but it still feels like yesterday that we heard this heartbreaking news. It simply goes without saying that Vinnie Paul was, is, and always be a pillar in the hard rock and heavy metal community. With his amazing drum work in bands like Damageplan, HELLYEAH, and of course Pantera, Vinnie had a style and sound that were often imitated, yet never duplicated. He was one of the best pure and simple. Since his death, fans and fellow musicians alike have all paid tribute to Vinnie. Whether it’d be through covers, written words, or even just photos, hardly anyone has yet to pay their respects. 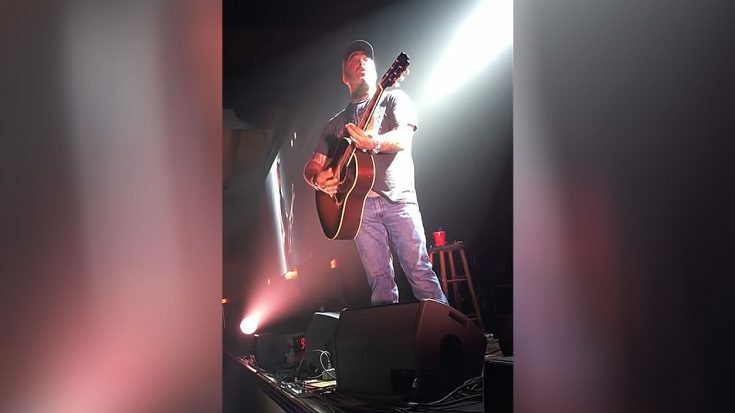 In fact, at a recent show, Aaron Lewis, with his acoustic guitar in hand, closed his show by playing the song “Intro”, which is how he normally closes his shows, but this time around, just before playing the song, Aaron held a moment of silence for Vinnie. The Staind front man followed up the somber moment by playing a stripped down, acoustic version of the band’s song “Intro,” which was the closing track to the 2003 LP 14 Shades of Grey. Watch below and have tissues ready.